Canada is a beautiful country for visitors and immigrants. It not only offers some of worlds exciting destinations for tourists but also provide excellent facilities and benefits to immigrants coming to this part of the world. People in search of better living standards, quality of life, career options, etc. move to Canada from different parts of the world, i.e. Asia, Africa, Europe, etc. Canada also doesn’t disappoint the immigrant workers coming here across the planet and provide those best settings and environment to integrate and settle. What would be the best pathway to get PR in Canada in 2018? Canadian government offers various immigration programs to invite immigrant workers in the country, i.e. programs for skilled workers (i.e. Express entry system, Provincial Nominee Program, etc. ), Parent and Grandparent program, Family Sponsored programs, etc. However, if you are a skilled worker looking to move to Canada, you need to choose the program that offers permanent residency in Canada to the skilled workers. Federal Express Entry remains the best pathway to get PR in Canada. It is the point-based system that promises to process the selected applications within 6 months. 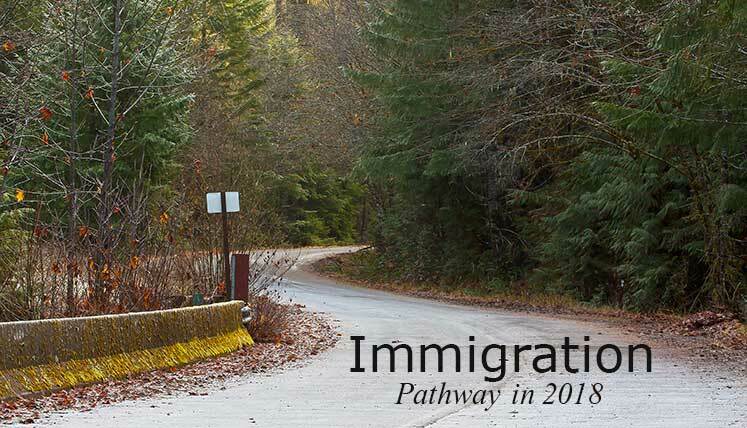 The IRCC (Immigration Refugees and Citizenship Canada) launched express entry system in 2015 and since then it is the most popular immigration system in the world. It assesses the registered applicants based on their age, education, work experience, etc. criteria. The IRCC has relaxed many immigration requirements in the express entry and as a result, the huge number of people got the Canada PR in 2017. Hence, it will be the best Canada immigration program in 2018. There are some key Provincial Nominee Programs, which are going to be vital in the year 2018, such as, Ontario Immigrant Nominee Program, Saskatchewan Immigrant Nominee Program, Nova Scotia Nominee Program, Alberta Immigrant Nominee Program, Manitoba Provincial Nominee Program, etc. Provincial Nominee Program (PNP) belong to different provinces in Canada. The skilled workers selected in PNPs receive the Provincial Nominee certificate which ultimately makes them eligible to get Canadian permanent residency. If you wish to obtain Canada PR in 2018, you must concentrate on two of these key Canada immigration programs. These programs were also key pathways for Canadian PR this year, and year 2018 will be no different in this regard. Immigration is a complex phenomenon, hence, the applicants often remain confused about the process as well as key documentation. Hence, it becomes essential to take services from a genuine and registered Consultancy Service for immigration documentation. Visas Avenue immigration is one such registered and widely popular Immigration Documentation Consultancy Service that every year help hundreds of applicants in the documentation process of Canada immigration.